And looking forward to 2014. I have ideas and dreams which I dare not declare here. I’m optimistic but the words ‘derailed’ and ‘down the rabbit hole’ come to mind. Happy Holidays to all, however you may celebrate. 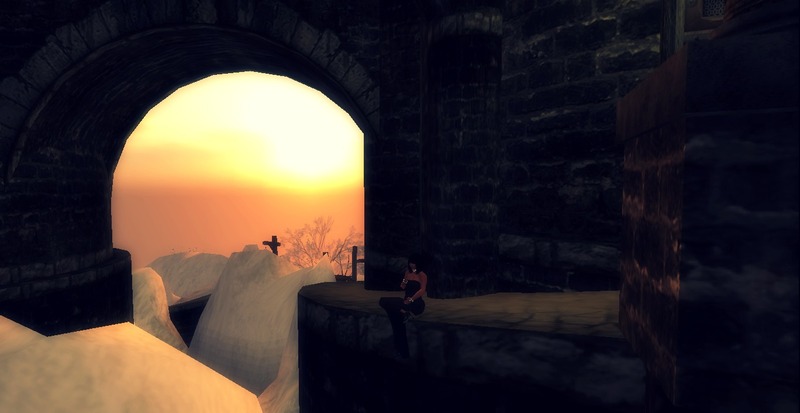 Photo taken at Calas Galadhon. So it’s wise for me to take a little break from blogging until after the holidays. I’ll be stopping by to read. See you soon. 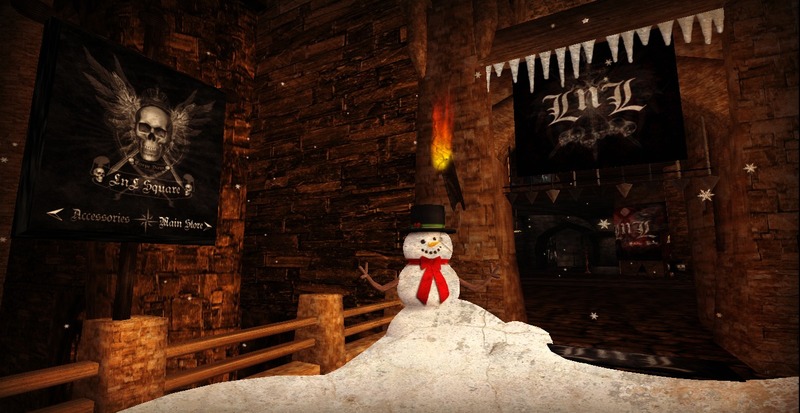 Santa scared me in Calas Galadhon. I was on my way to the art gallery that has work by Hamish Blakely. I took a photo of the front of the gallery for a blog post I’m planning and bought two more paintings. 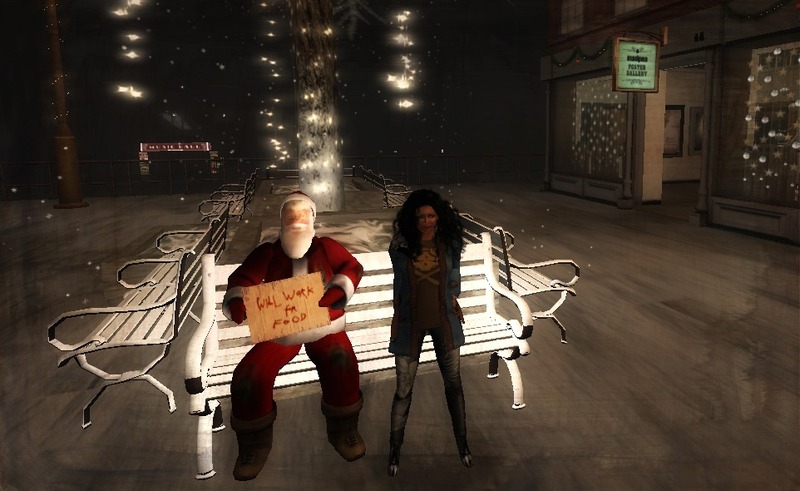 Mission accomplished for the area, I took a more leisurely stroll in front of the shops and didn’t notice the info about Santa’s availability for posing in holiday cards which is in front of the building that shows the businesses which are friends of Calas. I could see through the window that the decorations were lovely and I wandered in while responding to IMs. I did not see Santa on my way in. I’ve had dragons breathe on me, been enticed by Vampires and all manner of creatures have landed on me as I make my way around the grid. But my guard was down, I was relaxed and truly startled by Santa as he moved ever so slightly towards me. He might have scared me but he was certainly more pleasant than the Santa I saw in Mad City. 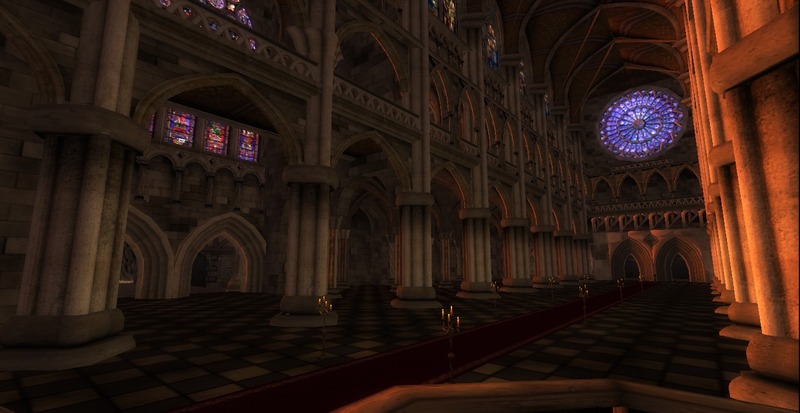 This is the best shot I can get of the outside of the immense, awesome Cathedral at Tudor Rose, a role play sim. I posted photos of the inside on the twelfth. The place is open to visitors, medieval clothing to be worn. I entered some of the buildings. 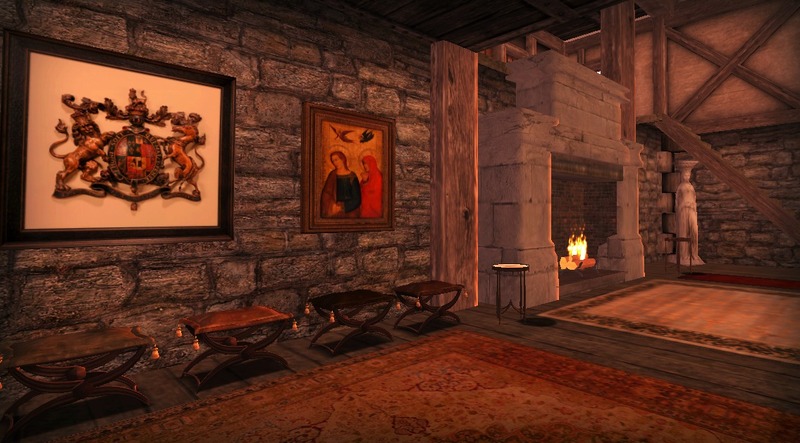 You can’t tell by the picture, but when you move over these lovely items inworld, you’ll find they are for sale. This is an art gallery. I fell in love with the paintings and have returned, dragging friends with me several times. The work doesn’t appear to be for sale. I did research and found a link to a blog and am going to revisit this and write about it more in depth in the near future. The castle is massive. I wandered about it thoroughly. It was created by the same person who made the Cathedral and I can’t find the notes I took right now. 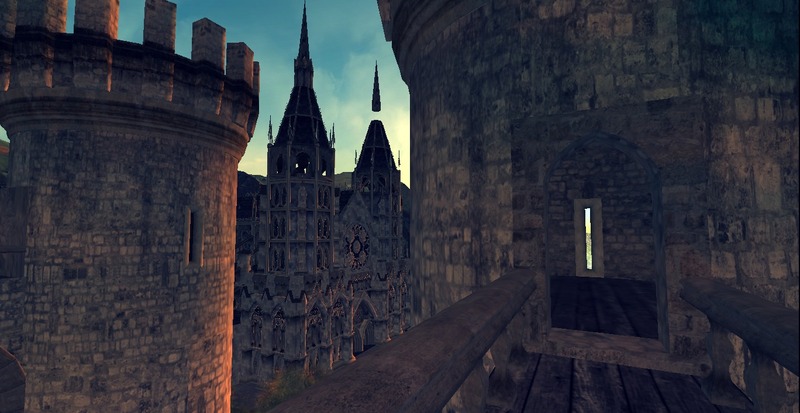 All these photos were taken on my first visit when I was not wearing medieval clothing. There are some “country” buildings past the woods on the sim. I’ve joined the group although it isn’t the sort of set up I’m used to with residences and such. Notifications are sent out on the day something happened in the 1500’s as though it were happening in real time. There are events and it doesn’t seem to require a lot of time to be involved. Time is something I don’t have an abundance of right now but this is a place I want to return to at least a few more times. This is a photo taken at L and L Square, the creation of Lizzie Gudkov and London Junkers. It was taken early this year. 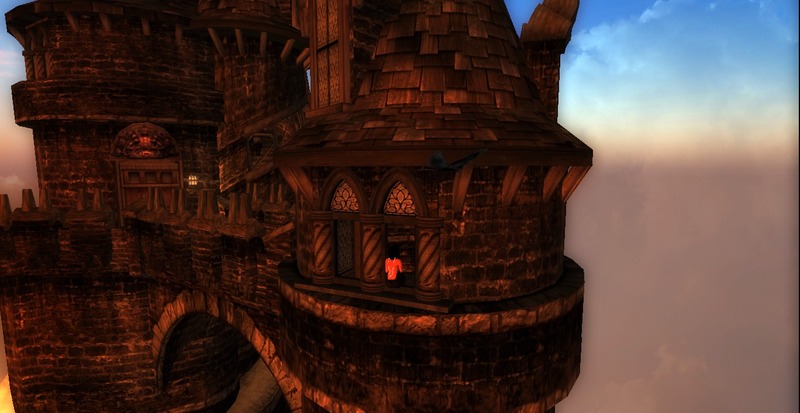 I’ve wandered the different floors of the castle, which is also a store, many times. Almost all the items for sale are outfits, Victorian, kimonos, Goth clothes and the like but there are also areas to hang out in. 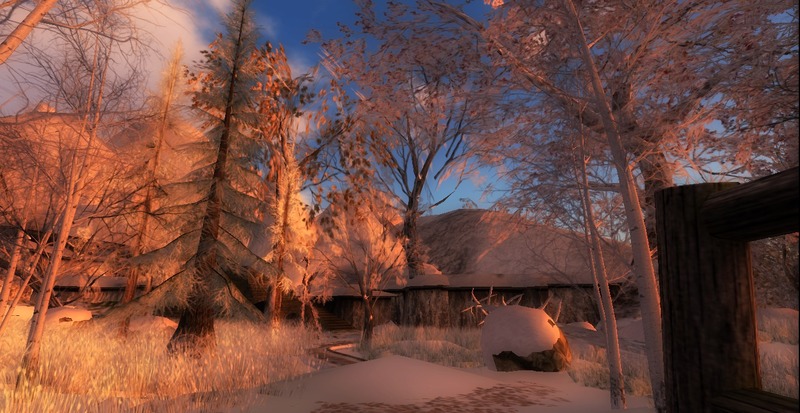 At first glance it might seem as though the areas are totally unrelated in the random way that things in Second Life often are. There was, and may still be, a pool table on one floor and then this zen garden is on another. There’s a church on one of the upper floors with light filtering in the windows. What happened was that I would get inspired to write every time I visited. I had a story about reincarnation that is a little different than most might be. I would edit the story and then my photography skills would improve a little and I wouldn’t be happy with my previous pictures. I’d like my photos better and then I wouldn’t be satisfied with my story. (It will never be shared, I’m almost sure.) Yet, I’ve enjoyed the creative process and cannot understand why this place seems to stimulate my imagination. 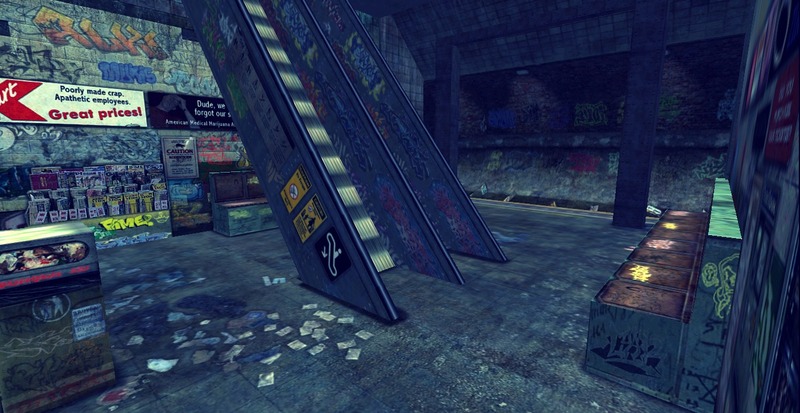 I returned recently to make sure the Slurl is still valid. London Junkers was there, likely working on something or the other. It was snowing and a snow man was grinning near the landing. 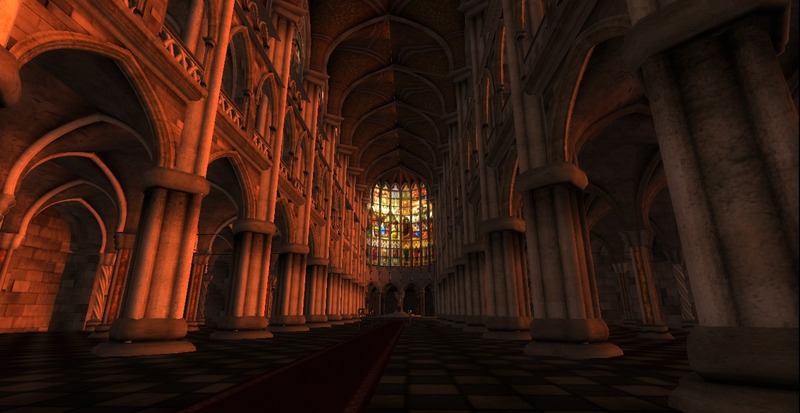 Perhaps it’s because Lizzie Gudkov is a writer and accompanies her short pieces with images from virtual worlds that makes the scenes in this place seem mystical and substantial to me. Or maybe it’s just an accident? 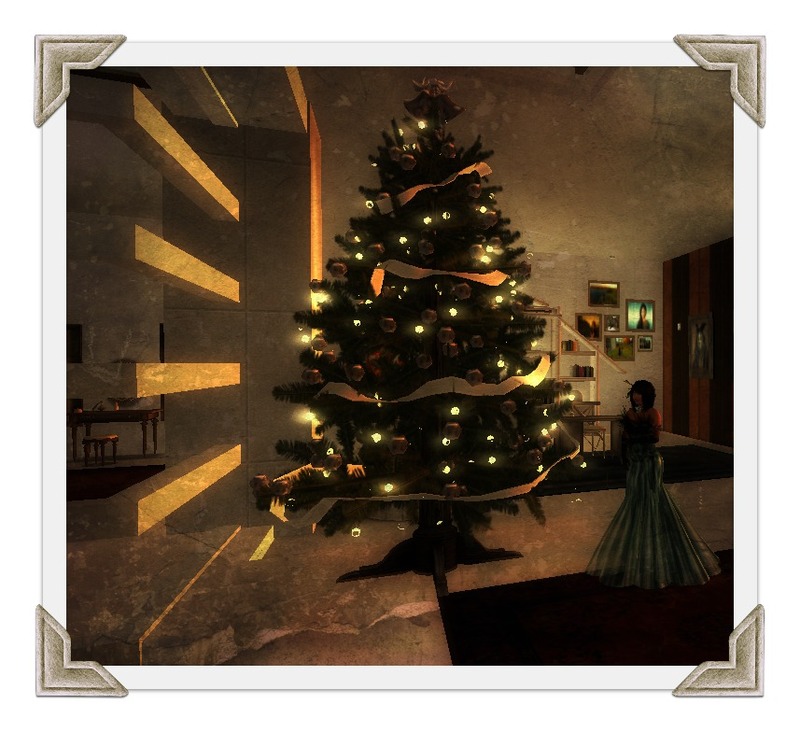 Here are more photos from my wonderful visit to this years holiday sim at Calas Galadhon. I’m warming up in front of the fireplace in the pavillion in the top picture. It’s very peaceful and like walking around in a holiday card. Lots of friendly critters and larger beasts. There’s ice skating and reindeer rides. Thanks to Ty and Truck for sharing this with the rest of us. Sustainability is something I’m passionate about and the last few months I’ve been observing use of space and listening to people talk about tier costs and the challenges of owning clubs and role play sims and such. While it’s wonderful to dream big and there are no guarantees, it doesn’t look to me like people can depend on others to support their vision in a huge way, especially when those others have their own visions. A good friend has one of those mediadeck rentals where you can change the environment by clicking on a menu. I have access to the controls. Some are huge homes but others have multiple buildings. There’s an old western town and then there’s this slum city shown in these photos. While not beautiful, the space is used well. 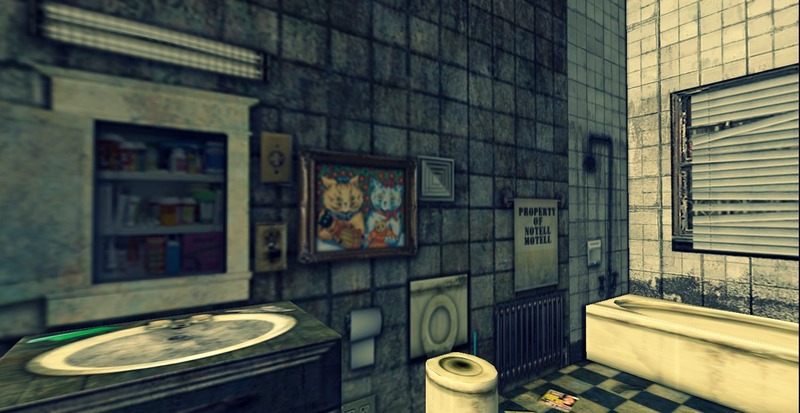 This is one of the most hideous bathrooms I’ve seen in Second Life. 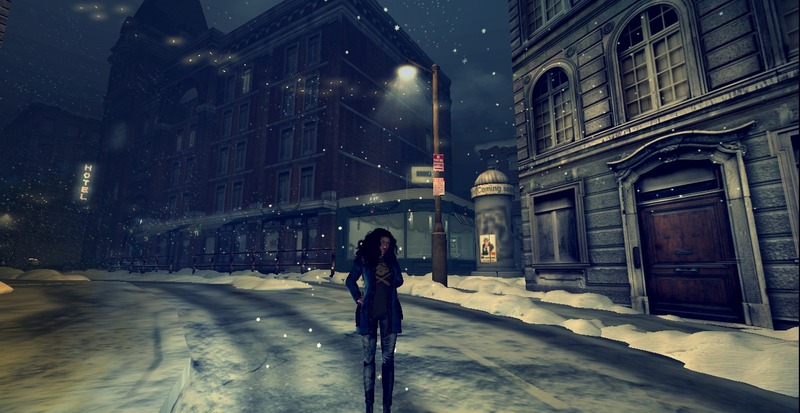 A lot of the scenes are photos like of one texture. I’m not sure of the terminology. There’s even a bus that can be driven around the streets and an underground area. I had to choose carefully when it came to the shots here because there are many offensive things. But still, creativity and good use of space. And finally, my favorite of all the seclections, Pink Cottage. You know how you can find insight and ideas while driving or doing the dishes? That happens to me while wandering around the grid. Sometimes I spend much longer than anticipated and that’s what happened when I went to Enchantment. 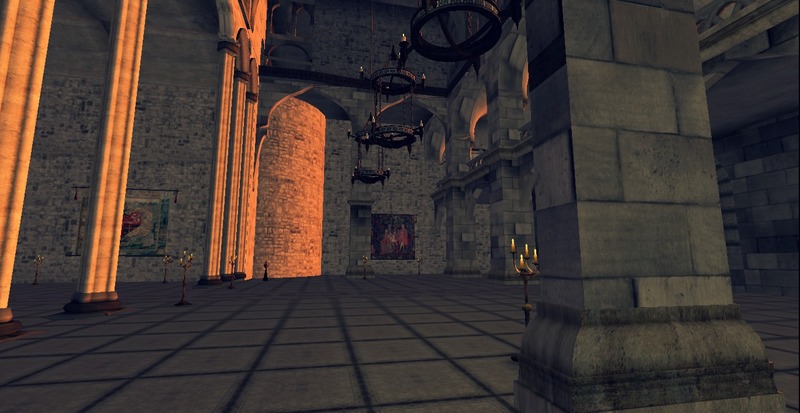 I got the SLurl from a blog and don’t quite recall the details but it seems to be a shopping thing with a fairy tale theme. The shopping stuff is near the landing and then off to the side was a place to explore. 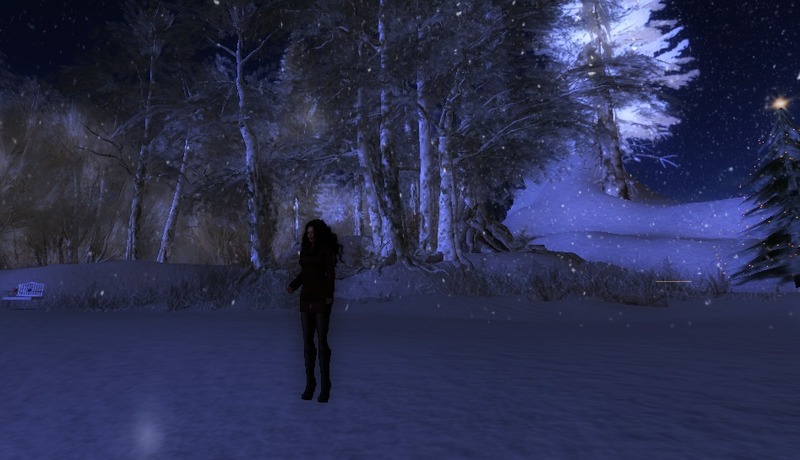 This was one of the very first winter areas I visited this season. 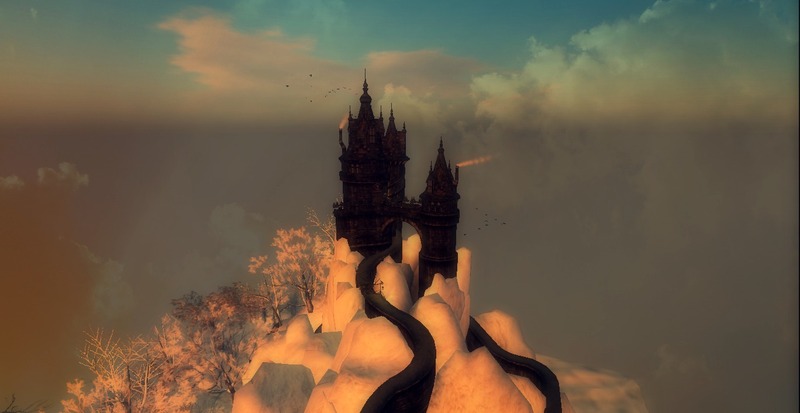 I just followed the path up into the castle, something I might have not had the patience to do another time. And when I was tired of walking I sat and reflected. And I didn’t feel the cold at all. I think the theme changes every few months. I enjoyed my visit. 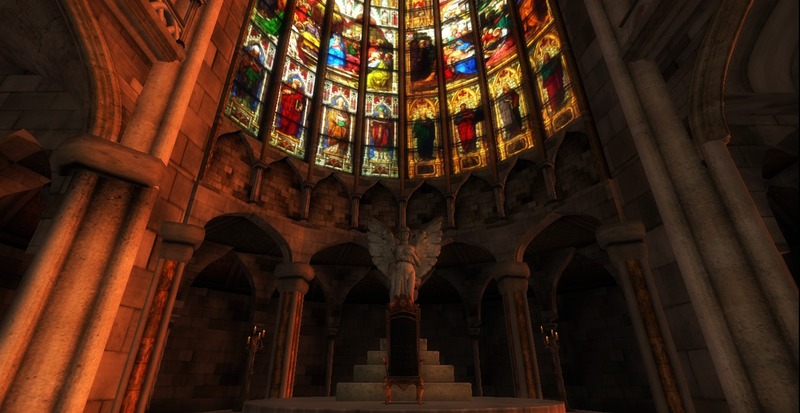 One of the most amazing buildings I’ve seen inworld is the cathedral at Tudor Rose. I don’t recall where I first got the landmark to this sim but I didn’t enter in front of the information board. I’ve since gone back to visit several times. There was no one on the sim when I arrived late at night. I’d had been dancing earlier and was wearing a formal gown. I learned later that Tudor period attire is to be worn when exploring the area. It is a roleplay sim and there aren’t a lot of rules. I joined the group and haven’t been bothered with a lot of group messages. One thing they do, which I like, is send notifications on the day something relevant happened in history as though it’s in real time and in the language style of the era. One day in November, there was a notification about the death of Mary of Scotland. The owners seem to know and love their history. They’ve also sent notice of balls people can attend. Most of us have a few medieval outfits in our inventory and it seems those will work. I didn’t get the impression I’d need to be a scholar to be welcome, just an interest and basic good manners and common sense. 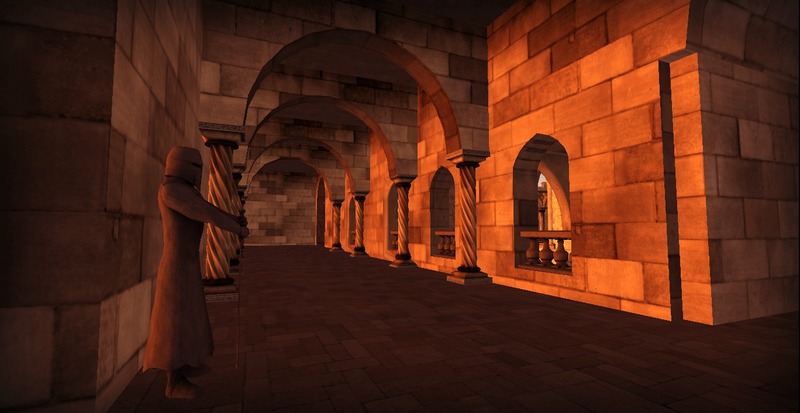 Tudor era gowns are distinctive and I’ve had a look on the marketplace and at an inworld store and want to investigate this further. I have more pictures to post in a few days. 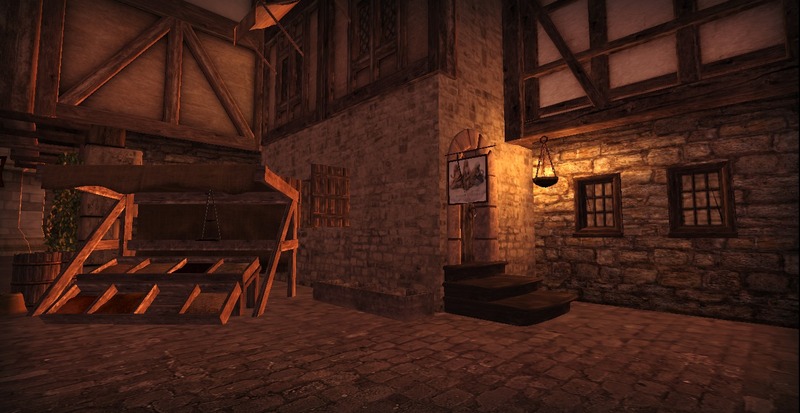 I recognized some of the buildings and layouts of medieval villages I’ve played in and visited and it’s amusing how good that felt. The cathedral itself is not to be missed.